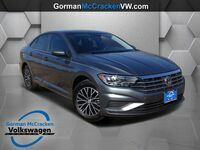 As one of Volkswagen's most popular vehicles in the U.S., the Jetta continues to appeal to drivers who desire comfort, efficiency, and innovative features. 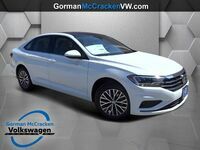 With each new model-year comes updates and improvements to VW models, and the 2018 Jetta is no exception. 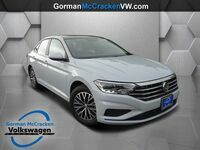 If you would like to get a better idea of what to expect from the 2018 Volkswagen Jetta, we invite you to utilize the information below before getting behind the wheel in Longview, TX. The Volkswagen Jetta comes in six different trim levels—S, Wolfsburg Edition, SE, SE Sport, SEL, and GLI. Each Jetta model has its own unique set of features and capabilities, allowing shoppers to find a Jetta model that best suits them and their lifestyle. 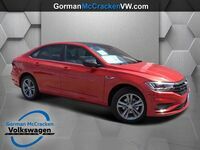 The 2018 Jetta comes standard with a 1.4-liter Turbo engine capable of producing 150 horsepower and achieving EPA-estimated 40 mpg on the highway. 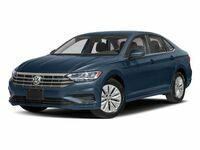 Jetta SE Sport and SEL models come equipped with a 170-horsepower, 1.8-liter Turbo engine that offers EPA-estimated 33 highway mpg. 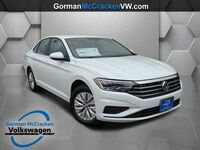 At the top of the line, the GLI trim features a 2.0-liter Turbo engine that is able to deliver a whopping 210 horsepower while still achieving EPA-estimated 33 highway mpg. It's no secret that Volkswagen cares about the safety of its passengers. That's why the Jetta offers a wide array of advanced safety features designed to help prevent and protect against potential collisions. Available safety technologies include Adaptive Cruise Control, Blind Spot Monitor, Park Pilot, Front Assist, Rear Traffic Alert, LED Daytime Running Lights, Automatic Post-Collision Braking System, and Intelligent Crash Response System. 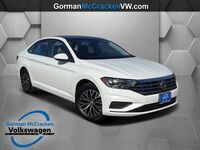 When you are ready to experience the 2018 Volkswagen Jetta in person, we invite you to schedule a test drive with our team at Gorman-McCracken Volkswagen.